The Bumper Book of Bob - Simon Bertram - spacekids - space toys, dressing up costumes, kids spacesuits, astronaut food, cool space stuff! 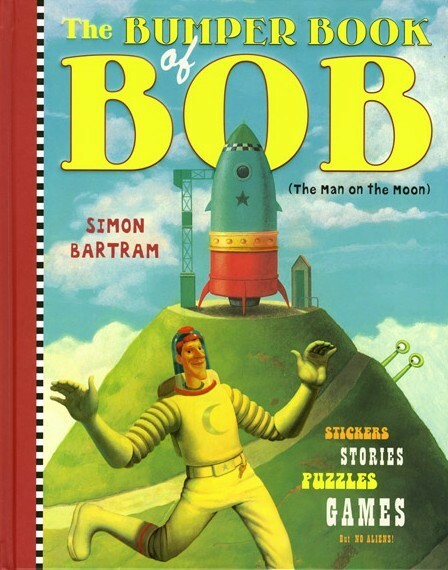 Discover this fantastic hardback bumper book containing all things Bob! Read a Bob ballad, a brand new mini Lunar Adventure or find out fascinating facts about Bob's friends, enemies, rocket and his special perspective on our Solar system. It's also bursting with pictures to colour in, sticker scenes to make up and variety of puzzles to solve, and if that isn't enough, why not try out Bob's recipe for his cherry buns, famous across the galaxy! This bumper book is a must for fans of the Blue Peter Award-winning series and will draw in those who have yet to meet The Man on the Moon.